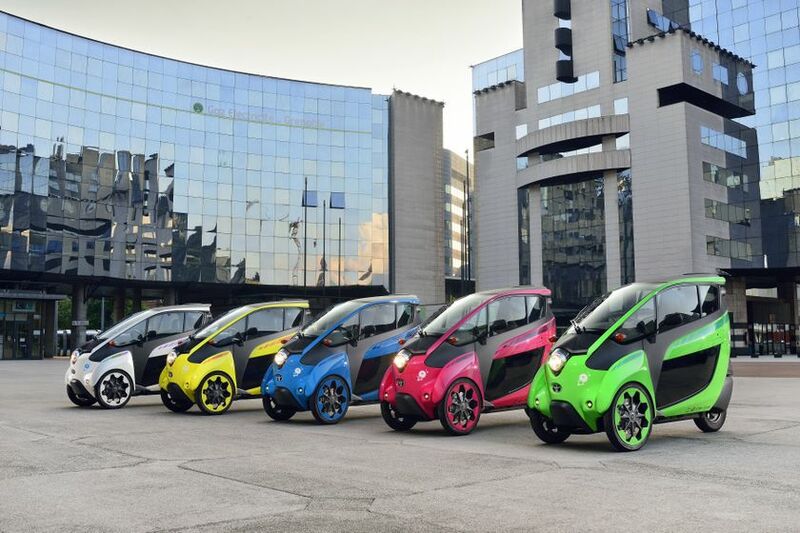 This innovative car-sharing service aims to prepare the City and agglomeration of Grenoble for electric mobility within a comprehensive multi-modal mobility plan. The three-year trial project brings together the competencies and services of five partners: the City of Grenoble, the Metro Area, French electricity company EDF and its affiliate Sodetrel, Toyota, and Cité lib, the local car-sharing operator. 35 three-wheel Toyota i-ROAD and 35 four-wheel Toyota Auto Body COMS will be available for short city trips in 27 charging stations installed and operated by Sodetrel ? including for one-way trips from one station to another. A total of 120 charging points for the project and 41 for other plug-in vehicles will be added to the city's transport infrastructure. A simple pricing plan dubbed "3, 2, 1 euros" for respectively the first, second and third 15-minute increments will be proposed to Grenoble citizens. For annual local transport card subscribers, the price will be reduced, at 2+ 1 euro for respectively the first and subsequent 15-minute increments. The service, called Cité lib by Ha:mo, starts on 1 October 2014. Grenoble, 12 September 2014 -- The clean city of tomorrow will see personal electric mobility harmoniously connected to public transport systems.